Our computer is like a human body that needs to be protected from sickness or illness. We need medicines to prevent damages and cure infections. Similar to computers, we need protection to prevent viruses and other damaging programs from destroying our PCs. 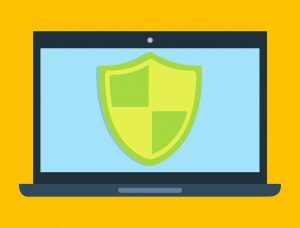 Basically, anti-virus software offer prevention, detection and removal of software viruses, and other malicious software from our devices such as computers, laptops, and mobile phones. Malicious software can be in a form of worms, Trojans, adware, and others. Whether you’re a student, a doctor, a businessman, a teacher, or in any profession, files and documents are worth-saving, so as the photos we took during our lifetime should be well stored and protected. For business users, data and other programs may worth millions of dollars and there’s no way data or program corruption should be entertained. So anti-virus software should be properly invested in for security. There are free and paid anti-virus software. Free ones are available online for download however they have limited features; these free anti-virus software are suitable for home users. The paid ones have advanced security features and are highly recommended for business users. The highly recommended best antivirus for PC 2016 is Avast. It is distinguished because of its performance and light use of system resources while efficiently catching malware. It has features like real-time protection of files, email, P2P transfers, web surfing, instant messages and even suspicious behavior. You can download Avast here. Competing with the Avast is the Panda Cloud Antivirus, an antivirus that offers cloud-based scanner. From PC protection to online transaction protection. It is also lightweight and runs on a local cache when the network is unavailable. It can detect and protect your device from phishing. It also has a root kit blocking, On-Demand malware scan, On-Access Malware scan, and malicious URL blocking. The down side of this antivirus is the auto-quarantine files. Meanwhile, for paid antivirus software, the Bitdefender Antivirus Plus 2016 is the top pick of pcmag.com for its malware protection. Its features include a password manager, a hardened browser, a secure deletion utility, a scan for system vulnerabilities, protection against ransom ware attacks, and more. On the other hand, it doesn’t offer a firewall, spam filtering, or parental control; among other features you get with Bitdefender’s actual suite products.